As the chart above illustrates, REIT’s dominated the performance spectrum convincingly during the week ; gaining 6.7%, followed by Global stocks, Russell, and EMs, 4.2%, 4.0%, 4.0%, respectively. 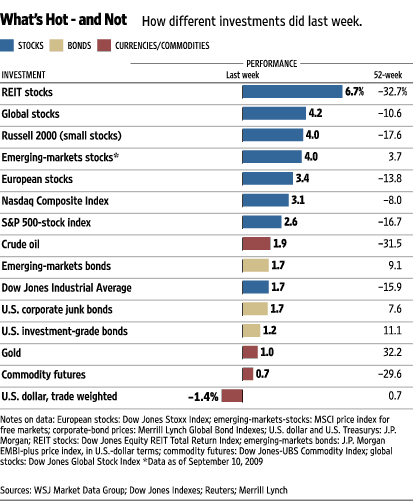 Excluding greenback’s 1.4 percentage points deterioration, all global investments gained. On a y/y basis however, the majority of them continue to post negative numbers.